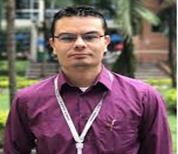 He is an electronic engineer specialized in the analysis and processing of biomedical signals. The main goal of his research is implementing biometric systems and decision support tools to help clinicians in pathology comprehension, diagnosis, and patients' treatment. Signal processing, data fusion, machine learning. Miguel Alberto Becerra, Karla C. Alvarez-Uribe, Diego Hernán Peluffo Ordoñez. The evaluation of the data/information fusion systems does not have standard quality criteria making the reuse and optimization of these systems a complex task. In this work, we propose a complete low data fusion (DF) framework based on the Joint Director of Laboratories (JDL) model, which considers contextual information alongside information quality (IQ) and performance evaluation system to optimize the DF process according to the user requirements. A set of IQ criteria was proposed by level. The model was tested with a brain-computer interface (BCI) system multi-environment to prove its functionality. The first level makes the selection and preprocessing of electroencephalographic signals. In level one feature extraction is carried out using discrete wavelet transform (DWT), nonlinear and linear statistical measures, and Fuzzy Rough Set – FRS algorithm for selecting the relevant features; finally, in the same level a classification process was conducted using support vector machine – SVM. A Fuzzy Inference system is used for controlling different processes based on the results given by an IQ evaluation system, which applies quality measures that can be weighted by the users of the system according to their requirements. Besides, the system is optimized based on the results given by the cuckoo search algorithm, which uses the IQ traceability for maximizing the IQ criteria according to user requirements. The test was carried out with different type and levels of noise applied to the signals. The results showed the capability and functionality of the model. Nowadays, an important decrease in the quality of the air has been observed, due to the presence of contamination levels that can change the natural composition of the air. This fact represents a problem not only for the environment, but also for the public health. Consequently, this paper presents a comparison among approaches based on Adaptive Neural Fuzzy Inference System (ANFIS) and Support Vector Regression (SVR) for the estimation level of PM2.5 (Particle Material 2.5) in specific geographic locations based on nearby stations. The systems were validated using an environmental database that belongs to air quality network of Valle de Aburrá (AMVA) of Medellin Colombia, which has the registration of 5 meteorological variables and 2 pollutants that are from 3 nearby measurement stations. Therefore, this project analyses the relevance of the characteristics obtained in every single station to estimate the levels of PM2.5 in the target station, using four different selectors based on Rough Set Feature Selection (RSFS) algorithms. Additionally, five systems to estimate the PM2.5 were compared: three based on ANFIS, and two based on SVR to obtain an aim and an efficient mechanism to estimate the levels of PM2.5 in specific geographic locations fusing data obtained from the near monitoring stations. Identi cation of atrial brillation (AF) mechanisms could improve the rate of ablation success. However, the incomplete understanding of those mechanisms makes di cult the decision of targeting sites for ablation. This work is focused on the importance of EGM analysis for detecting and modulating rotors to guide ablation procedures and improve its outcomes. Virtual atrial models are used to show how nonlinear measures can be used to generate electroanatomical maps to detect critical sites in AF. A description of the atrial cell mathematical models, and the procedure of coupling them within two‐dimensional and three‐dimensional virtual atrial models in order to simulate arrhythmogenic mecha‐ nisms, is given. Mathematical modeling of unipolar and bipolar electrogramas (EGM) is introduced. It follows a discussion of EGM signal processing. Nonlinear descriptors, such as approximate entropy and multifractal analysis, are used to study the dynamical behavior of EGM signals, which are not well described by a linear law. Our results evince that nonlinear analysis of EGM can provide information about the dynamics of rotors and other mechanisms of AF. Furthermore, these brillatory pa erns can be simulated using virtual models. The combination of features using machine learning tools can be used for identifying arrhythmogenic sources of AF. There is a growing interest in data fusion oriented to identification and authentication from biometric traits and physiological signals, because of its capacity for combining multiple sources and multimodal analysis allows improving the performance of these systems. Thus, we considered necessary make an analytical review on this domain. This paper summarizes the state of the art of the data fusion oriented to biometric authentication and identification, exploring its techniques, benefits, advantages, disadvantages, and challenges. The globalization of the marketplace, requires that products are innovative, commercial, functional and highly striking, to wake up as well in the consumer, the sufficient attention and achieve that you give the time of the purchase, with prior identification of your need and the acceptance of the product. Characterize the consumer is complex and different aspects like color and emotions must be analyzed. In this work is established, the relationship between emotion, color and fashion object, identifying variables that motivate the consumer at the time of your purchase. So a survey was applied on a university population in Colombia and Additionally, through database belonging DEAP 4 universities in Europe (Queen Mary University of London, University of Twente, Netherlands, University of Geneva and at the EPFL in Switzerland), that related emotions and videos in a university population of Europe, made an analysis of the color in the background of these and showed the influence of the color using the graph of Genève. The results obtained showed, a strong influence of the color in the attitude of consumption and the color on the emotions, although it was not possible to conclude that emotions affect the time of purchase by the consumer. Identification in situ of arrhythmogenic mechanisms could improve the rate of ablation success in atrial fibrillation (AF). Our research group reported that rotors could be located through dynamic approximate entropy (DApEn) maps. However, it is unknown how much the spatial resolution of catheter electrodes could affect substrates localization. The present work looked for assessing the electrograms (EGMs) spatial resolution needed to locate the rotor tip using DApEn maps. This paper presents an automatic detection system for the classification of phonocardiographic (PCG) signals using 4 standard auscultation areas (one of each cardiac valve) for heart murmur diagnosis. The database of 4-area PCG records belongs to the National University of Colombia. A set of 50 individuals were labeled as normal, while 98 were labeled as exhibiting cardiac murmurs, caused by valve disorders. With the help of medical experts, 400 representative beats were chosen, 200 normal and 200 with evidence of cardiac murmur from 4 different areas of auscultation. First, the PCG signals were preprocessed; next, four different derivations of Mel Frequency Cepstral Coefficients (MFCC) were extracted. Additionally, statistical moments of Hilbert Huang Transform (HHT) were estimated using different combinations of the signal components by means of Empirical Mode Decomposition (EMD), Ensemble EMD (EEMD) and Complete EEMD with Adaptative Noise (CEEMDAN), independently, where the computational complexity were compared. Finally, stochastic analysis of the feature space was carried out by an ergodic-HMM and the global classification result was around 98% with acceptable sensitivity and specificity scores, using a 30-fold cross-validation procedure (70/30 split). La contaminación del aire ha sido un problema ambiental y de salud en el mundo, se han propuesto varios métodos de regresión lineal multivariable para determinar niveles de asociación y dependencia entre contaminantes del aire y parámetros meteorológicos. Estos parámetros se caracterizan por tener información redundante e irrelevante, que es perjudicial para un modelo de regresión. En este contexto, un análisis de la dependencia mediante Regresión Lineal Múltiple y Regresión de Componentes Principales de los contaminantes del aire y parámetros meteorológicos fue desarrollado, encontrando una fuerte correlación entre el ozono y la temperatura (0.8) para la estación Tlalnepantla, así como un coeficiente de determinación de 82%. El modelo de PCR demostró que parámetros meteorológicos como temperatura y humedad relativa tienen un impacto significativo en la contaminación del aire en la Ciudad de México. Atrial fibrillation (AF) is the most common cardiac arrhythmia. Catheter ablation has become the main therapeutic strategy for the treatment of paroxysmal AF, however, results in permanent AF are not completely satisfactory; complex ablation patterns are needed, thus it is of great interest to look for an ideal pattern with a minimum number of lines. Ablation of complex fractionated atrial electrograms (CFAE) has been proposed for the termination of rotors as mechanisms of AF maintenance. The aim of this work is to characterize the CFAE by implementing approximate entropy (ApEn) and to correlate it with the tip of a simulated rotor, in order to apply simple ablation patterns to terminate the rotor activity. For this, a rotor was simulated in a 2D model of human atrial tissue, under permanent AF conditions. Electrograms were recorded and an algorithm to measure ApEn was developed. Three ablation patterns were proposed and evaluated. The ApEn allowed locating the CFAE with high precision and relating them to the tip of the rotor. The ablation pattern that enclosed the rotor tip and that was extended to a conduction boundary was effective in the termination of the rotor. The ApEn could be very effective in identifying target sites for ablation. Catheter ablation is a technique used as treatment for atrial fibrillation, this procedure is guided using 3D electro anatomic mapping systems. Ablation is one of the treatments for AF whose effectiveness depend on the location of the rotor tip and this depend of the quality of mapping obtained from a re-duced set of real signals. This paper presents a comparison study between three approaches for reconstruction of features maps of a 2D model of simulated atrial fibrillation. The model was char-acterized using the mean, Shannon entropy and approximate entropy of the electrograms (EGM). The model is made up of 22500 EGM and reductions of 75%, 93.5% and 97.3% in the spatial resolution of the model was conducted. Thereupon a reconstruction of the feature maps was realized using inverse distance weighted (IDW), inverse distance weighted-median filter (IDW-MF) and backpropagation artificial neural networks (BPANN), the performance of the techniques was analyzed using the root mean square error (RMSE) and the peak signal to noise ratio (PSNR). IDW shows a general RSME of 4.2% and a PSNR of 27.5dB, IDW-MF exhibited a RSME of 17.5% and a PSNR of 21.8 dB, finally BPANN shows a RSME of 9% and PSNR of 22.8 dB. IDW shows the best performance at any degree of reduction while IDW-MF represent the best approach for Shannon entropy and mean maps reconstruction and IDW has the best perfor-mance for approximate entropy maps reconstruction. Interfaz cerebro computador basado en señales EEG para el control de movimiento de una prótesis de mano usando ANFIS. A large number of people in the world who have amputated limbs that are usually replaced by mechanical prostheses. Moreover, electromechanical prostheses have been gaining strength and are supported by different types of interfaces as brain interfaces computer that improve the functionality of these, despite show representative results for the control of prostheses, it is still an open field research that seeks to improve its effectiveness and efficiency. In this paper, we present a methodology for classification of electroencephalographic signals (EEG) to control movement of a prosthetic hand, based on the adaptive neurofuzzy inference system (ANFIS) applied to features derived from the wavelet transform is presented (TW ) and the rough fuzzy sets (FRS) to EEG signals obtained in 10-10 system. Thus the performance of the proposed system was measured using cross-validation with 30 repetitions 70-30 obtaining high performance in terms of accuracy, which means that this model has potential as a classifier for the detection of EEG changes for the command generation for the control of hand movement. The heart's mechanical activity can be appraised by auscultation recordings, taken from the 4-Standard Auscultation Areas (4-SAA), one for each cardiac valve, as there are invisible murmurs when a single area is examined. This paper presents an effective approach for cardiac murmur detection based on adaptive neuro-fuzzy inference systems (ANFIS) over acoustic representations derived from Empirical Mode Decomposition (EMD) and Hilbert-Huang Transform (HHT) of 4-channel phonocardiograms (4-PCG). The 4-PCG database belongs to the National University of Colombia. Mel-Frequency Cepstral Coefficients (MFCC) and statistical moments of HHT were estimated on the combination of different intrinsic mode functions (IMFs). A fuzzy-rough feature selection (FRFS) was applied in order to reduce complexity. An ANFIS network was implemented on the feature space, randomly initialized, adjusted using heuristic rules and trained using a hybrid learning algorithm made up by least squares and gradient descent. Global classification for 4-SAA was around 98.9% with satisfactory sensitivity and specificity, using a 50-fold cross-validation procedure (70/30 split). The representation capability of the EMD technique applied to 4-PCG and the neuro-fuzzy inference of acoustic features offered a high performance to detect cardiac murmurs. As cardiac murmurs do not generally appear in every area of auscultation, this paper presents an effective approach for cardiac murmur detection based on stochastic analysis of acoustic features derived from Empirical Mode Decomposition (EMD) and Hilbert-Huang Transform (HHT) of phonocardiographic (PCG) signals made up by the 4-Standard Auscultation Areas (SAA). The 4-SAA PCG database belongs to the National University of Colombia. Mel-Frequency Cepstral Coefficients (MFCC) and statistical moments of HHT were estimated over EMD components. An ergodic HMM was applied on the feature space, randomly initialized and trained by expectation maximization with a convergence at 10e-6 and a maximum iteration number of 1000. Global classification results for 4-SAA were around 98.7% with satisfactory sensitivity and specificity results, using a 30-fold cross-validation procedure (70/30 split). The representation capability of the EMD technique applied to 4-SAA PCG signals and stochastic analysis of acoustic features offered a high performance to detect cardiac murmurs. This paper presents a dimensionality reduction study based on fuzzy rough sets with the aim of increasing the discriminant capability of the representation of normal ECG beats and those that contain ischemic events. A novel procedure is proposed to obtain the fuzzy equivalence classes based on entropy and neighborhood techniques and a modification of the Quick Reduct Algorithm is used to select the relevant features from a large feature space by a dependency function. The tests were carried out on a feature space made up by 840 wavelet features extracted from 900 ECG normal beats and 900 ECG beats with evidence of ischemia. Results of around 99% classification accuracy are obtained. This methodology provides a reduced feature space with low complexity and high representation capability. Additionally, the discriminant strength of entropy in terms of representing ischemic disorders from time-frequency information in ECG signals is highlighted. Los sistemas de control de parquet) desempeñan una función clave en el marco de los sistemas inteligentes de transportes, La disponibilidad de las celdas de parqueo es difícil de controlar, por lo que se requiere un sistema de monitoreo que envié at sistema de administración de manera permanente, la disponibilidad de cada una de las celdas y permita una administración del parqueadero más eficiente. Las microondas terrestres son utilizadas en la transmisión inalámbrica de señales, caracterizándose por su bajo consumo de potencia y direccionalidad siendo ideales para la transmisión, en rango reducido, de señales de control basadas en protocolos coma Bluetooth, ZigBee y Wi-Fi. El presente artículo realiza un análisis comparativo de estas tecnologías, con el fin de seleccionar la más apropiada para ser aplicada en la red de sensores requerida para el sistema do control de celdas del parqueadero.